The scene of Wednesday night's shooting. 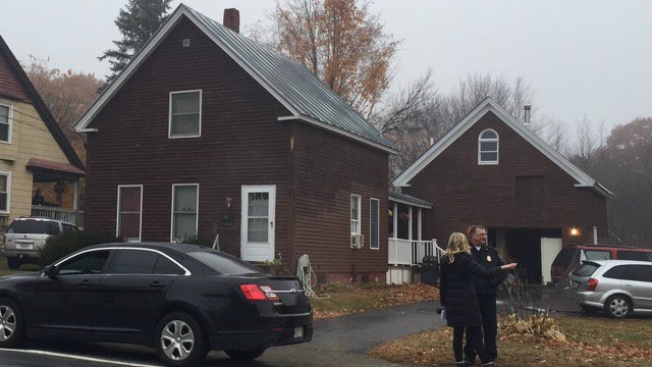 Police say the 42-year-old Maine man who shot three people to death before killing himself was "troubled" and had several illegal drugs in his system. Maine State Police say still don't know why Herman Derico launched the rampage on Nov. 4 in Oakland. Police say he killed his girlfriend, 28-year-old Amy Derosby, her sister, 30-year-old Amanda Bragg and Bragg's boyfriend, 29-year-old Michael Muzerolle, then killed himself. Test results released Tuesday show Derico had amphetamines, methamphetamine, marijuana and alcohol in his system. There was also evidence of cocaine use. Detectives found Derico had been treated at hospitals for mental health issues and had been prescribed drugs for anxiety, depression, paranoia and insomnia. He left no note and police say the only people who can explain his actions that night are dead.